We’ve added a new service and a machine that is going to dramatically change the way you can fabricate parts and assemblies. 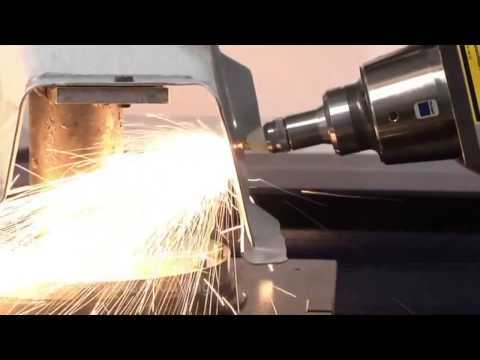 The service we’re now offering is 3D Laser Cutting and Welding. The machine is a 4000 watt 5 Axis CNC laser welder/cutter from Trumpf, and it means you, our customers, have a whole new set of manufacturing options that are incredibly precise and incredibly fast. We selected our Trumpf TruLaser Cell 3000 with a TruDisk 4001 disk laser after a lot of research. We wanted something versatile that was also capable of quick change-overs to handle many different types of jobs on short notice, but we also wanted a workhorse system that could quickly crank out parts. The Trumpf goes beyond our requirements. In fact, you have to see this thing to believe it. Trumpf TruCell 3000 Fully Automated laser welding/cutting workspace State of the art welding and cutting system manufactured by the leading provider of laser systems in the world. 10 uM min beam size Exceptional beam quality for cutting and welding. Perfect for precise cutting of most metals and welding. Z-Axis = 15.75″ (400 mm) System can easily handle small and medium sized parts. Max Speed 3,346 inches/min (85 m/min) REALLY? Yes, this thing is wicked fast. Accuracy 0.00059 inches (0.015 mm) REALLY? Yes, and wicked accurate. In addition to having a very high-powered laser mounted to a workstation of exceptional speed and accuracy, the system has many other features which make it a dream to operate. Most of these features allow EB Industries to quickly change over between jobs, minimizing setup and keeping the system working on your parts for fast turn around. The work chamber can be accessed from multiple points, which allows the development of efficient workflows that fit the requirements of the particular job. Programming is intuitive and fast, with many complex aspects, such as beam focusing, handled automatically. Programming can happen on the work piece itself, making the process fast and precise. Dual purpose laser head means cutting and welding can be combined in one operation – imagine cuts and welds accomplished in one pass. Laser cutting, in both 2D and 3D, is one of the system’s strongest assets. 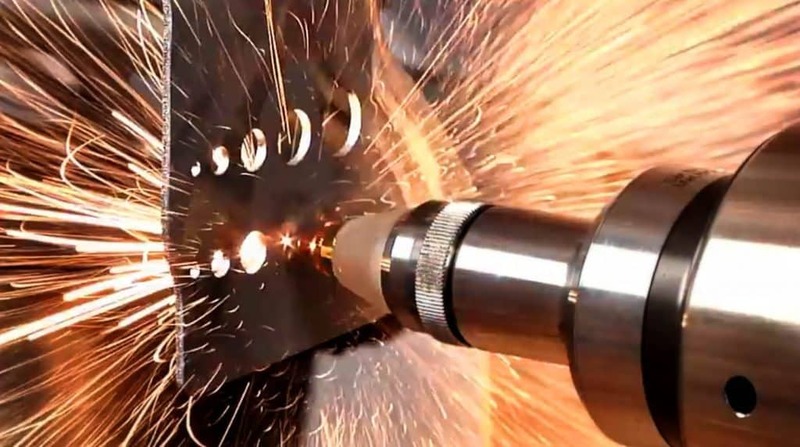 The TruDisk 4001 has tremendous power and high efficiency, and can cut many different materials, including highly reflective metals like copper and brass, which are notoriously difficult to cut with a laser. Below is a table listing some common cutting statistics, but this is by no means complete – what can be successfully cut depends on many factors. As you can tell, our enthusiasm about our new Trumpf system and being able to provide new capabilities to you is very high. We’re already up and running – it helps to have highly experienced laser welding and maintenance people on staff when you want to get going fast. If you would like to learn more, or would like to give us a tough job to consider, please see our Laser Cutting Services page, or call us at 1-631-293-8565. We’d be delighted to discuss your requirement and help you find a solution.